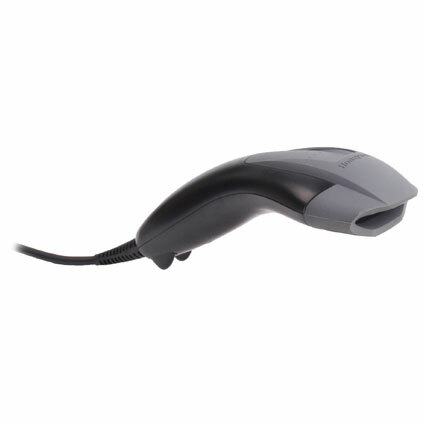 The Honeywell Voyager 1400g barcode scanner gives any business great scanning at a fantastic price. 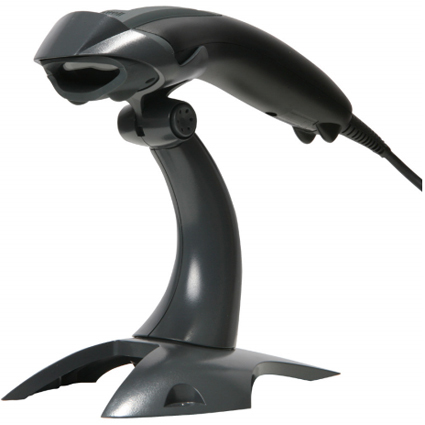 Built using the same body as the popular Voyager 1200g, the Voyager 1400g future proofs your retail scanning operations with great 2D scanning. Honeywell offers the Voyager 1400g in three models: a 1D imager, 1D and PDF417 imager, and full 2D scanner. The 1D and PDF models can be upgraded to enable 2D scanning, allowing you to add functionality to your business without having to buy an additional scanner. 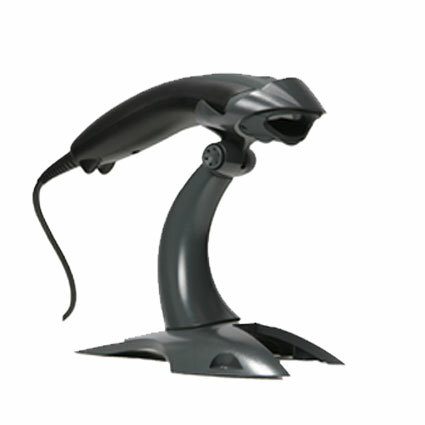 Standard retail barcodes are read from about 10 inches back, great for retail environments and made even easier with the Voyager 1400g´s omnidirectional scanning capabilities. 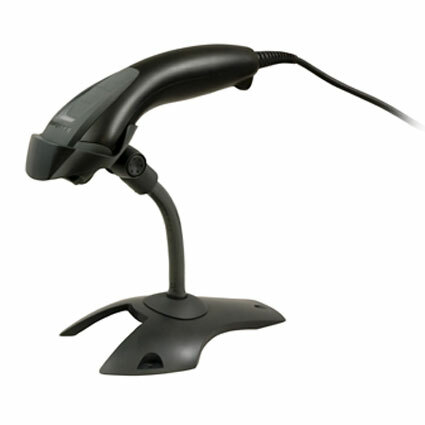 Honeywell´s Adaptus imaging technology powers the Voyager 1400g, giving you quick reads of barcodes in virtually any lighting environment. Dimensions (W x D x H): 1.7" x 7.1" x 2.6"
5.0 Mil Code 39 1.1" to 3.5"
13 Mil 100% UPCA 1.0" to 9.8"
20 mil Code 39 1.2" to 13.7"
6.7 Mil PDF417 1.0" to 3.5"
10 Mil Data Matrix 1.0" to 3.7"
20 mil QR 0.6" to 7.7"